Myzomela cruentata Meyer, 1875, Arfak Mountains, New Guinea. English: Red honeyeater; French: Myzomele vermillion; German: Bluthonigfresser; Spanish: Meloncillo Rojo. 4 in (11 cm), 0.25-0.30 oz (7-9 g). Small bird with entirely scarlet plumage, with exception of dark undertail and wing coverts. 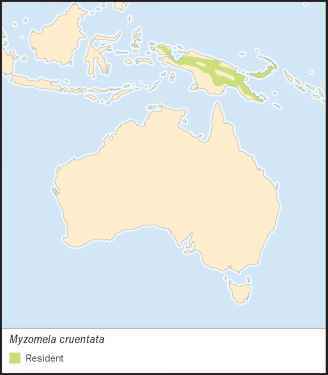 Mountains of New Guinea from 2,000-4,800 feet (600-1,500 m), Yapen Island, Bismarck Archipelago. 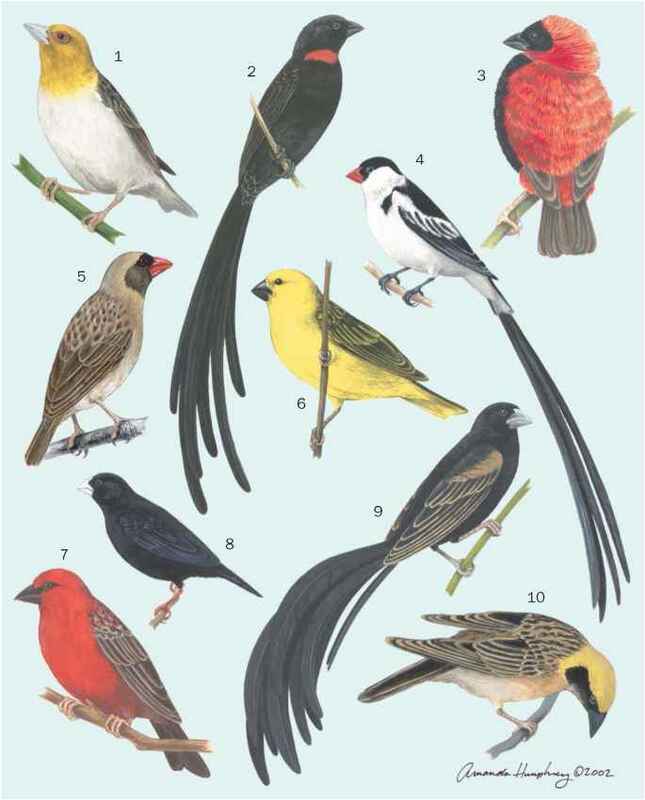 One subspecies in New Guinea and five more on different islands of the Bismarcks. Generally quiet and inconspicuous. Emit a high-pitched tseet. Feed on flowers in tall forest trees as well as in sago. Insects captured in the air and by probing into moss on high tree branches. Typically forage in the forest canopy.